A Vampire?? 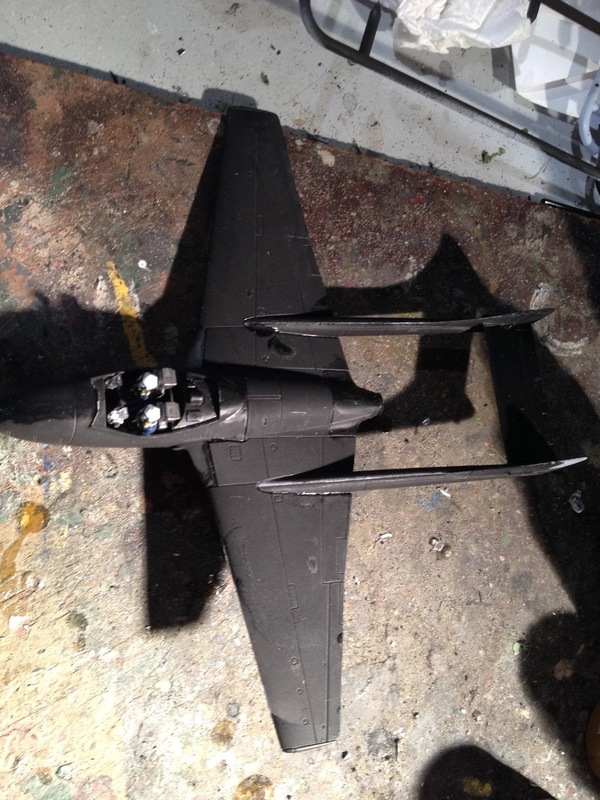 Mwahahahahahahahahaha ... oh a DH Vampire jet. Somewhere over the skies of .. Korea? Ore even Europe in the dark days post World War 2, when east faced off against west. Jets streaked through the skies, piston engined aircraft toiled away as well. It was a time of transition in military hardware. As a part of the longer term Korean war project (an extension of the Spearhead WW2 interest and forces) I have been working on several early jet aircraft to provide air support, for the allies, the De Havilland Vampire. 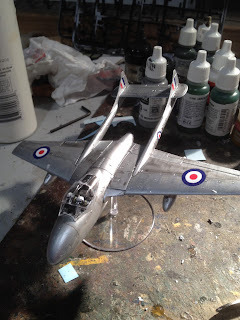 The kit I have used is the retooled Airfix kit. The kit depicts a two seater trainer, but I think opponents will forgive the inaccuracy for the sake of the sight of a beautiful twin boomed jet aircraft streaking across the table top. The positioning of the pilots in the cockpit proved to be problematic. 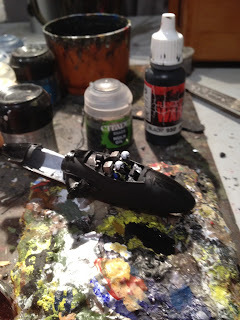 The crew sit too high to allow the canopy to fit over them in the closed position. I had to shave a lot off the underside of their seats (and their feet, what's more) to get a fit. 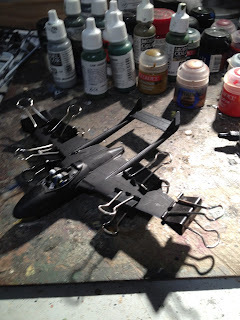 This was an acknowledged problem here on the Unofficial Airfix Modellers Forum. The rest of the kit fitted together very well. An issue I did note with the Airfix aircraft kits is an over-abundance of microscopically small transfers of various crew and maintenance instructions which frankly I couldn't be bothered applying. 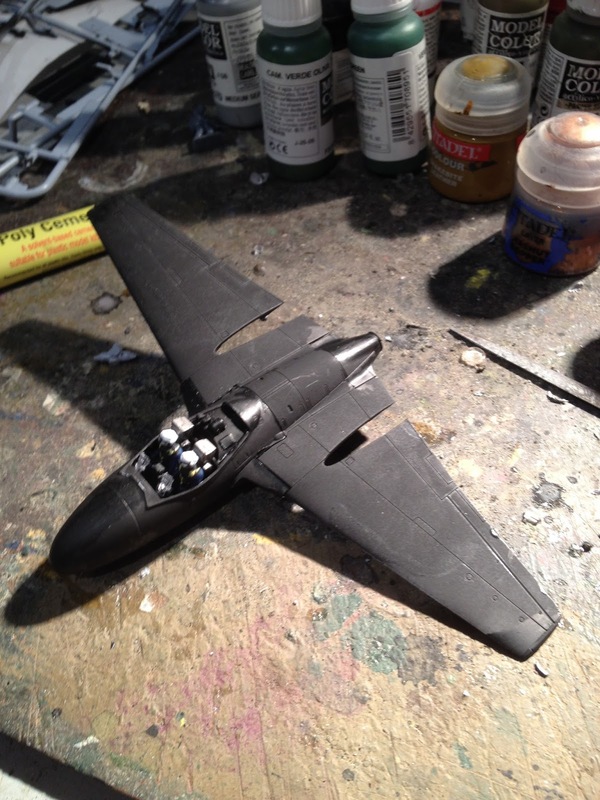 A boon for dedicated modellers I have no doubt, but for this wargaming boy just too much. 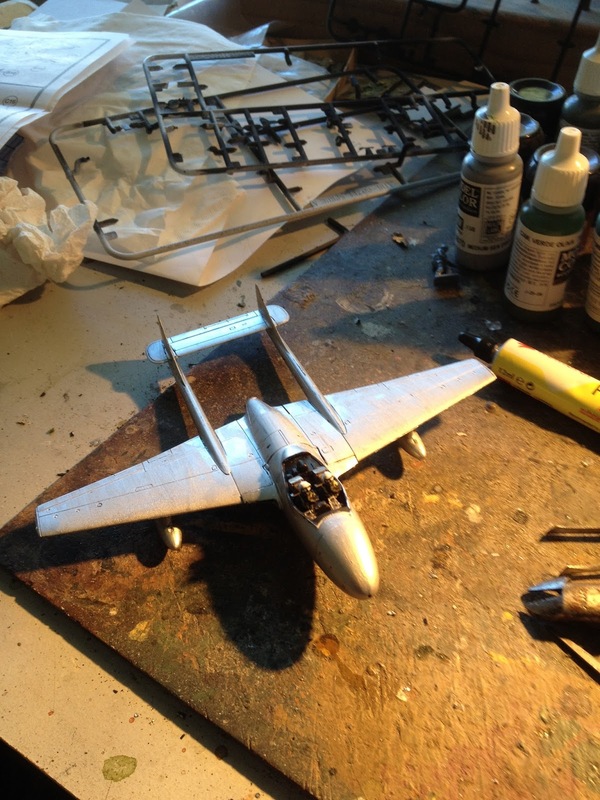 This is the second jet aircraft model kit I have assembled over the past little while, and I can't say I'm overly happy with the finishes I produce. Overall I produced a better finish with respect to join lines, and used a new silver paint that Andy gave me (Vallejo's Model metallic Silver RLM021 - thanks Andy). 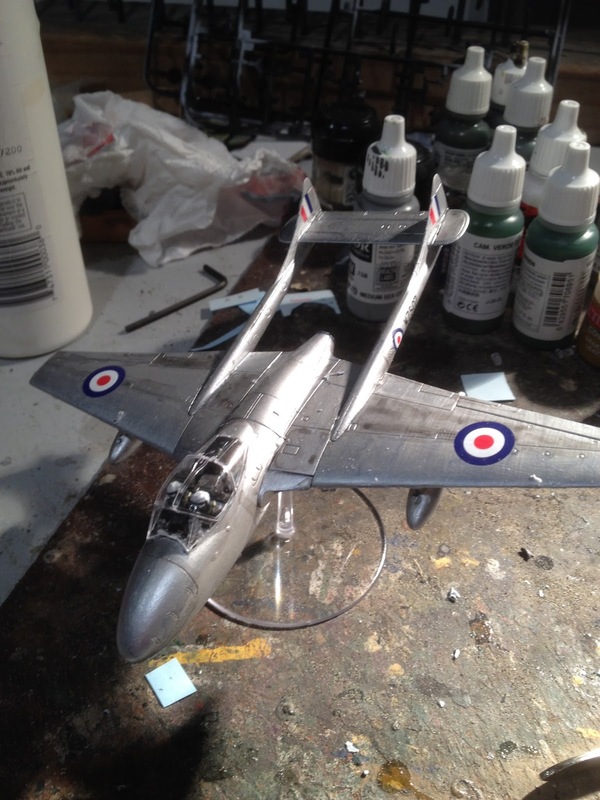 I applied three thin coats and it produced a better finish than the Citadel silver I used on the Mig15. There is an F86 sabre kit to be assembled ay some stage, but it's time for a change of pace... what next, I wonder?